With the kokanee bite right around the corner, here is another setup that has worked for years and was responsible for many limits last year. There are many of setups that catch fish, hoochies, spinners, bugs, wee tads and more. 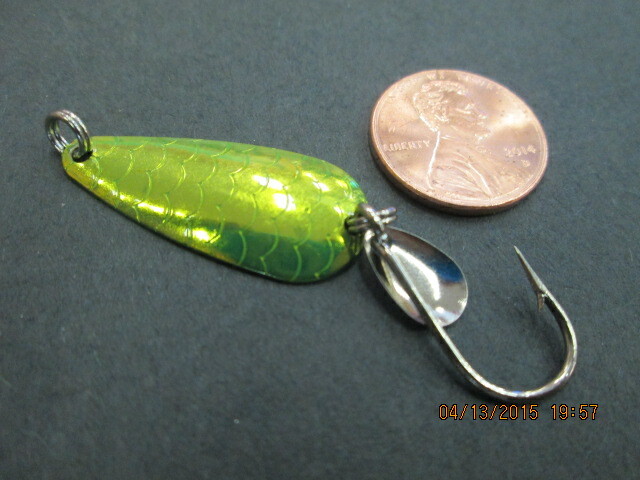 One bait that often gets overlooked is a small spoon. 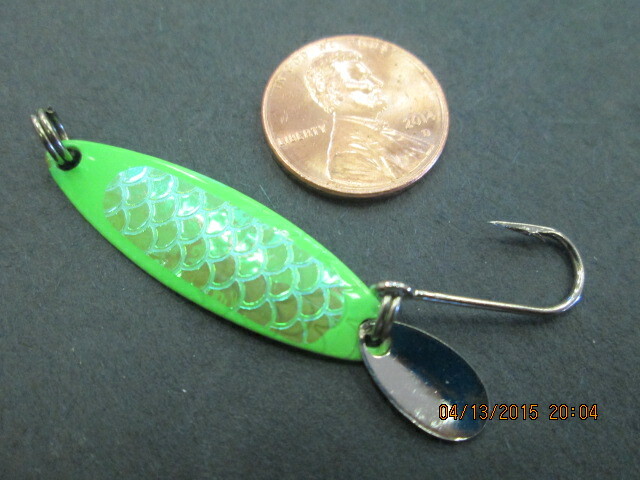 Spoons work extremely well for trout and also are equally productive for kokanee. Something to keep in mind is kokanee feed on small aquatic insects and only bite lures out of aggression. Lures that produce a lot of action will trigger strikes. Spoons have an extremely unpredictable and erratic action. The cup on the spoon will grab and release water, causing the spoon to swing side-to-side. There are a few small spoons to choose from. The smallest size Needlefish has been used to catch kokanee for years. Excel makes a small spoon that has great action and will be sure to draw strikes. 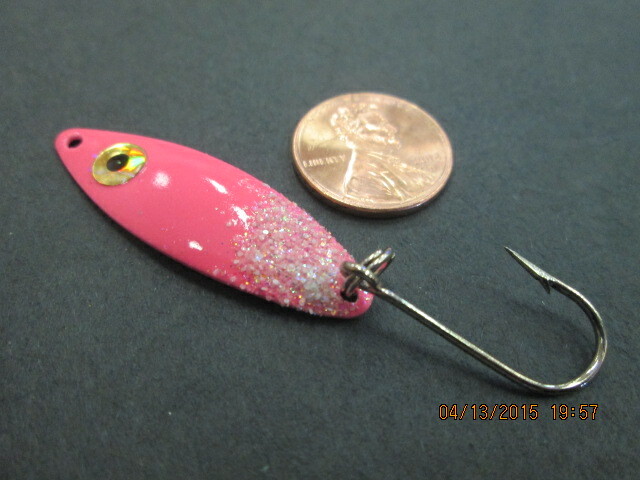 Vance’s Sockeye Slammer is a good choice and comes in a variety of fish catching colors. Last year we brought in the Simon Baby Wobbler. 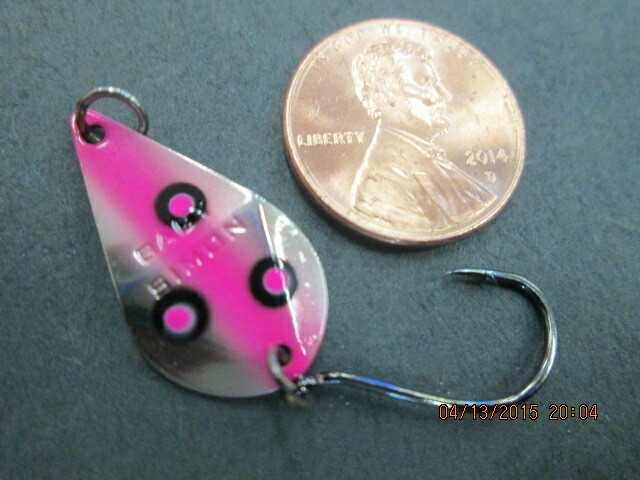 It proved to be one of the best kokanee lures to use on New Melones. It has a very unique wobbling action. Drop one behind your favorite slingblade or dodger and try your luck trolling small spoons through schools of kokanee.